If you’ve ever had that freak out moment when you can’t remember if you left the iron on then you’ll appreciate this cordless high-tech design. 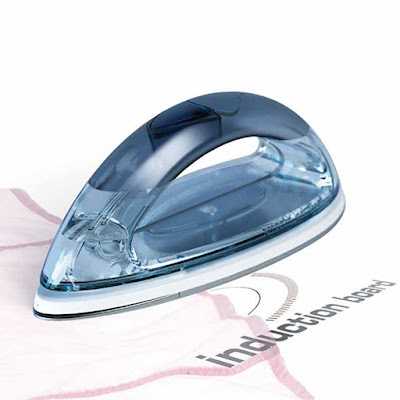 The Smooth Inductor is an energy-saving iron that utilizes a ferromagnetic sole plate system that only heats when in contact with the included induction board. The semitransparent body offers a clear view of the plate and the fact that it’s wireless means it’s free of a cumbersome electric cord.